Networked cyber security is the basis for the digital transformation and a driver of growth for companies. “Command Control” provides an innovative format for bringing together cross-sector decision-makers and experts in the top security location of Munich. Security Network Munich is a valuable partner in this area that links together numerous initiatives from the fields of industry and research. “Munich is a top cyber security location – and Security Network Munich is a partner boasting a well-connected network in this sector. We will help to shape this network with Command Control”, explains Klaus Dittrich, Chairman and CEO of Messe München. The cyber security activities in this location are impressive: The University of the Federal Armed Forces Munich (Universität der Bundeswehr München) is, for example, developing the largest cyber research centre in Germany called Cyber Defence (CODE), while the Technical University of Munich (TUM) and the Fraunhofer Institute for Applied and Integrated Security (AISEC) are building a cyber security centre in Garching. 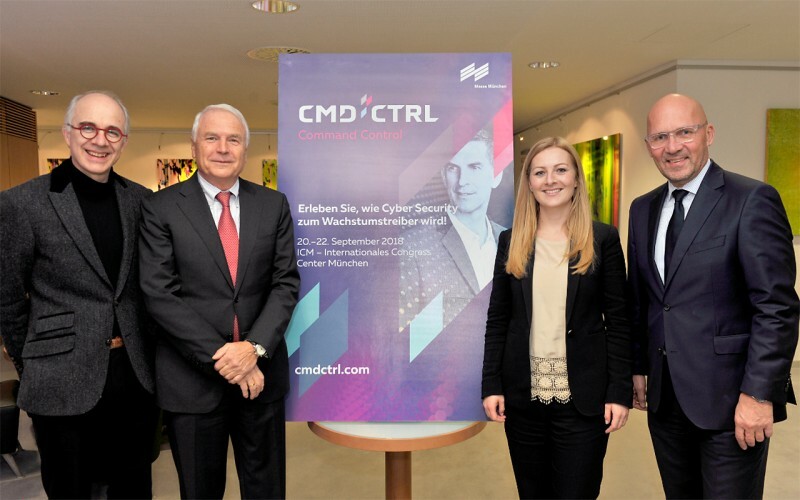 Leading technology companies such as IBM and Fujitsu are opening development centres, Giesecke & Devrient have founded a new cyber security division and Munich Airport is opening a competence centre to fight cyber crime. And the Munich Security Conference also acts as a forum for the subject of cyber security.